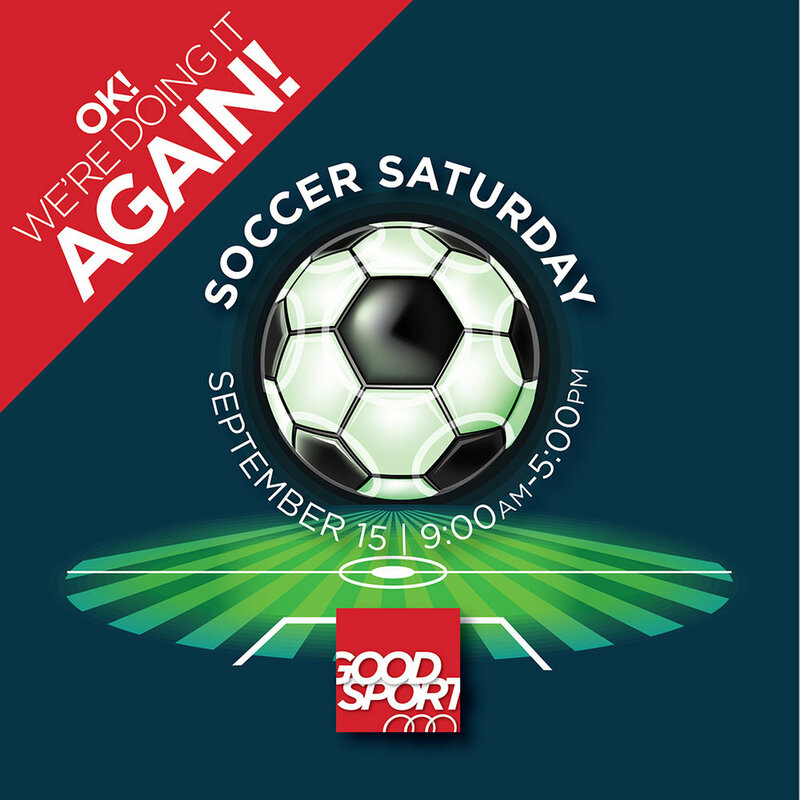 Soccer Saturday, again! — welcome to the Good Sport! We know how crazy it has been getting the kids back to school. There are new bus schedules, required school supplies, lessons, tutors, playdates, homework, and the list goes on and on. "Darn-it! I forgot to buy Virgil and Wanda new cleats!" For the second Saturday in a row, we have got you covered! Take a deep Ujjayi breath and relax. We will be ready for you and the kids starting tomorrow morning at 9:00 am. We have plenty of sizes and styles from which to choose. Of course, we are also open today from 9:30 am until 5:30 pm. We also have a wide variety of field hockey equipment for beginners as well as seasoned veterans.